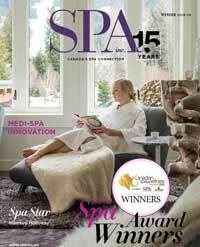 Employees must possess the skills to wow your clients and must fit with the vision of the spa, too. Asking the right questions is key to finding the right people. The skilled estheticians and therapists who run your spa have as much effect on the ambiance of the environment as the building itself. Your staff must relate to the vision of the spa, the demographic you plan to cater to and the quality of service you will uphold. Staff must interact effectively not only with the clientele, but each other as well. Sometimes a massage therapist can look great on paper, but if they don’t fit in with the rest of the staff they will bring an unpleasant energy to the spa that filters down to everybody else. This part of the Opening a Spa series, our fifth installment, will help you find the right employees by looking in the right places, asking the right questions and evaluating the way a potential worker will fit with the spa as a whole. Why pay for a job ad? In the spa industry, the most effective methods of seeking out resumes from qualified candidates don’t cost a dime. White will also foray into social media advertising, like that which is available through Facebook. However, this is not a primary source of potential candidates, as White receives weaker responses than she does through free online classifieds offered by Kijiji. Mark Deans, Operations Manager at Deserving Thyme Lifespa in Vancouver, recommends some different, but still free, vehicles for the employee search. Deans would also post an ad on Craigslist, a free online classified advertisement network. “Craigslist, in our market, is the numberone posting vehicle. We have, in the past, taken out job postings that cost money, but really the trend today is to go with the various free opportunities out there,” he explains. Another option would be to approach local esthetic schools. 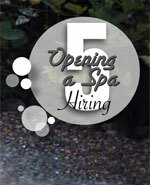 Many graduating students seek work close to their current location so reaching out could net some quality spa staffers. New grads may also have a skewed idea of the workings of the industry. It is very unlikely that a new graduate will be fully booked doing facials immediately upon locking in employment and this is something that you, when interviewing, need to get a feel for. Is this individual comfortable with the fact that they will have to work at gaining a client base? If not, move to the next grad in line. Find the right recent graduate and the spa can benefit from their presence. It is a good idea for a spa to maintain a steady stream of communication with local esthetic schools. At Body Polish Day Spa, students from the European Institute of Esthetics visit for a day and shadow current employees. This gives students an opportunity to see how things work in the real world and it also creates a buzz around the school. This often results in a greater volume of applications when a job ad is placed. Too many applications, however, can be a hassle when hiring. It takes time to go through paragraph after paragraph of histories and qualifications. A preliminary screening process can take place before you read a single word. When White placed an ad online recently, it was viewed 1,200 times. Fortunately for her e-mail inbox and index finger, the number of resumes received was significantly less that. The number counted just over 200. This means that the advertisement identified specific qualifications or requirements that many of the people viewing it did not meet. They either saw they weren’t quite the right fit for the job, or the job wasn’t quite the right fit for them. “You save yourself time by making a nicely worded ad. You’re not going to be looking through loads of resumes from the wrong people,” says White. If you are looking for evening and weekend coverage but you fail to include that in the advertisement, there is a good chance that applications will be coming in from applicants looking to work only days. If you want a staffer with a particularly strong background in reflexology, but knowledge of hot stone massage and acupuncture, be sure to include all of those specifics rather than speaking in general terms such as “a varied background.” If you have irregular operating hours, include that as well. Is public transportation available nearby? Are there any job perks? Any information that may help attract the right employee or deter somebody who might not fit should be included in an effective job ad. Many candidates may fit the bill on paper, but through the interview process you need to determine those who fit or don’t fit in other ways. Questions to ask during the interview should be derived from the resume of the applicant, says Deans. 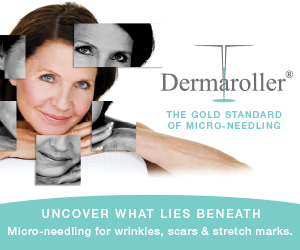 What is the breadth of knowledge the applicant possesses and how long have they been doing these treatments? What has led them to spend more time on particular treatments? If they have moved around a lot from location to location, why is that? “You don’t want to train a treatment provider on your protocols and then have them leave once you’ve spent that time. Asking questions that come from the resume helps flesh out their objectives and see if that meets with the objective of your spa,” Deans says. 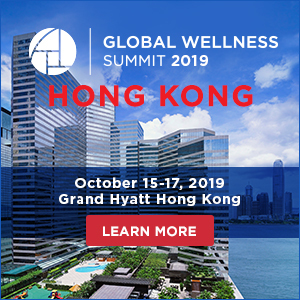 Ask them what service categories they feel they excel in, regardless of what the bulk of their experience is in; ask what their retention rate is; the rate of sale from treatment to retail; and what kind of work environments they excel most effectively in. “If they are currently employed elsewhere, ask them why they want to leave that job,” says White. Ask what they liked about their previous job and what they didn’t like. You may also want to know what their long-term and short-term goals are, and whether or not they have maintained any relationships after leaving previous jobs. It may also be beneficial to ask seemingly random questions, to see how well a potential employee can think on their feet. How many hours do you sleep on a regular night? Have you read any good books lately or seen any good movies? Is there anywhere in the world that you’re hoping to travel? When was the last time you were frightened? These questions can give an idea as to how they may interact with new clients, helping you decide whether or not they fit with the spa. Once you have gone through the first set of interviews, you can break the group of potentials down to just a few. “From there, they would come in and do a service on a senior esthetician, something like a pedicure or some type of nail service,” says Deans. This helps you to get a feel for their technique and how they settle in to the environment, as well as giving the applicant an opportunity to have dialogue with a more experienced esthetician. “I can get feedback from my staff, and it may reveal something that I hadn’t considered. I may read into something with an individual and it would be entirely different from how the esthetician feels,” Deans explains. After much deliberation, the decision is made. It is important to get in touch with the applicants who were brought in for the final stage of interviews, and even those who were brought in for face-to-face interviews, to let them know that the job has been filled. This is good for the reputation of your spa, and helps maintain positive relations with other workers who may have been just slightly edged out, but may be a better fit as time goes on. It is wise to keep the resumes of any applicants who stood out. It is standard practice to put any new employees on a probationary contract. Three months is a standard period. “In that amount of time you can get a good understanding of what the employee is all about. During this time you’re looking at attendance, skills, client comments on departure and how they operate in the spa,” says Deans. Details are important. If your spa is meticulous about the dressing of the beds and the new candidate can’t or won’t make the effort to meet that high standard over a period of three months, they won’t be able to meet the standard at all. During those three months, the employee should do everything they can to prove that they are the person for the job. As the probation period ends, so does the hiring process. You’ve navigated through the dense forest of applicants and found the tallest tree. Male staff is a rarity in the spa industry. Most spas keep no male workers because the demand for their services is notably less than for female workers in most locations. In the years that Body Polish Day Spa has been open, there have been no applications from male estheticians and only three or four have applied for massage therapist positions. 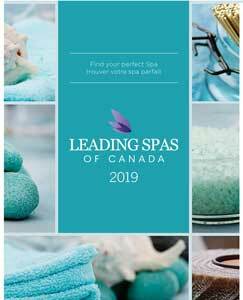 “Clients aren’t always comfortable with a male spa worker, and the men tend to have a harder time gaining and building clientele here,” says Azriel White, Spa Director at Body Polish Day Spa. Mark Deans has been Operations Manager at Deserving Thyme Lifespa for two years, and in that time has seen one request from a client for a male esthetician. This isn’t to say that hiring a male worker would be a bad choice. “It may change the dynamic in the spa for the better,” says White. If you’re in the right location and your client base could potentially be receptive to a male employee in the spa, take a chance and it might pay off.